Scraptastic Tuesday - the alternative universe style! In a galaxy far, far away....I am trying to catch up on where I should be to meet a swap deadline. The swap is the #igminiswap and I'm in the #merrygroup ! Poor swap mama Mary Menzer who blogs at Fairly Merry has been chasing us up and I am shockingly behind due to some other deadlines and a stinking cold I had all last week and still coughing now to be honest ! This is what it should look like! 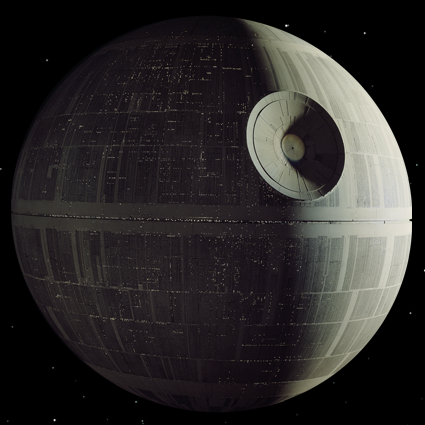 Starwars Death Star for those non-sci-fi folks! I should just manage to squeeze into that final deadline yet. 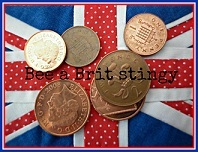 Wonder what scrappy thing Leanne is up to this week and do tell if you are being scrappy too! Better get back to that other dimension then! Well Amazon don't hang around do they? I got the book today and just had to try something out. I just love that dangling paw! And those white mittens! 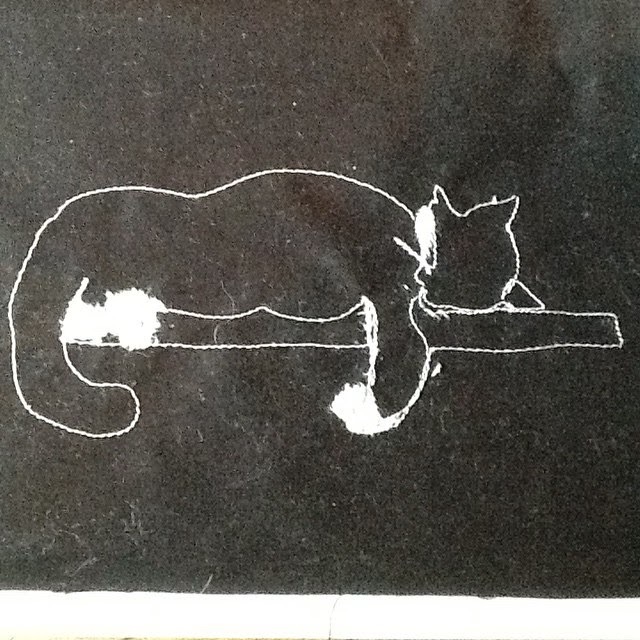 Well I made this based on that photo..
Not purrfect but not a bad attempt to capture a cat at rest. 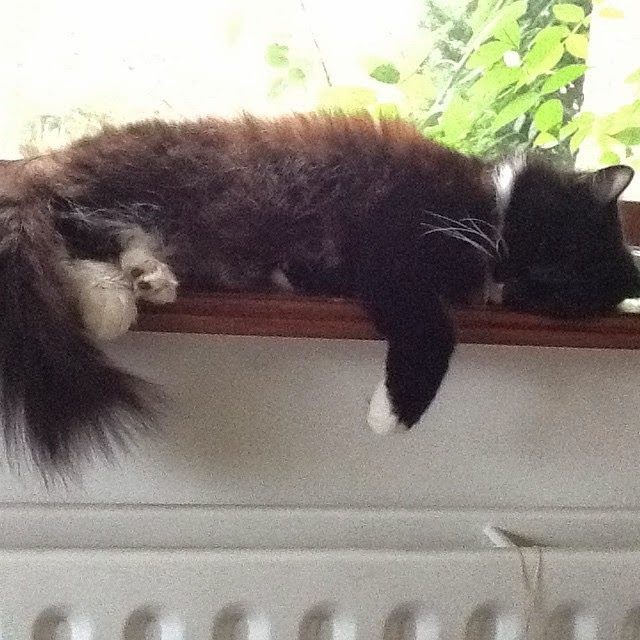 Not quite sure how to portray her fluff but maybe I'll find out by reading on! 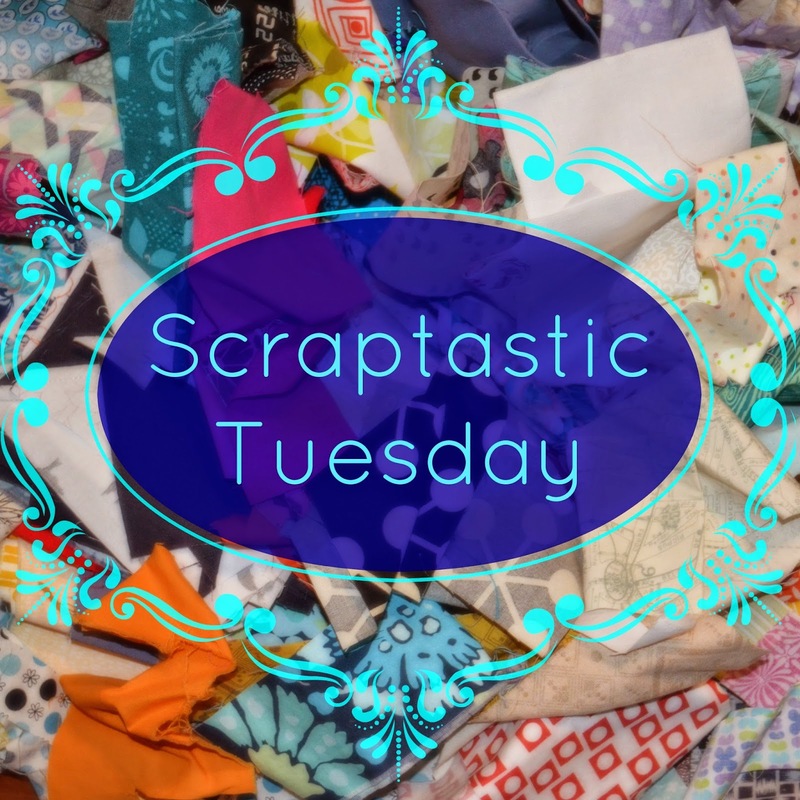 Scraptastic Tuesday - Prizes and Drafting! Thank you for joining us and remember the next link will be the second Tuesday of the month - December 9. 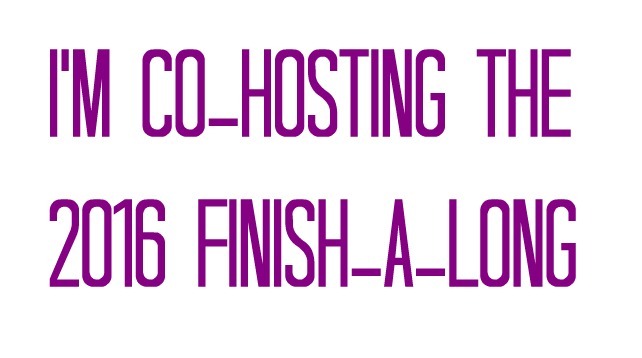 Please plan to share a scrappy project finished or in progress or your ideas about how to use or organize or deal with scraps with us then, and feel free to join us at any time in the month. Use the hashtag #scraptastictuesday or add our button to your post. 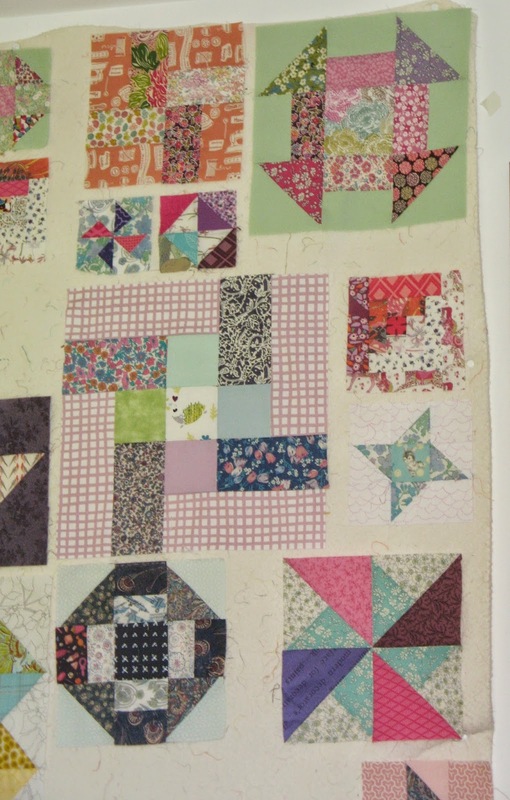 Now if you care to stick around after the prize giving I'm going to show you how to draft this block for my #scraptasticsampler. 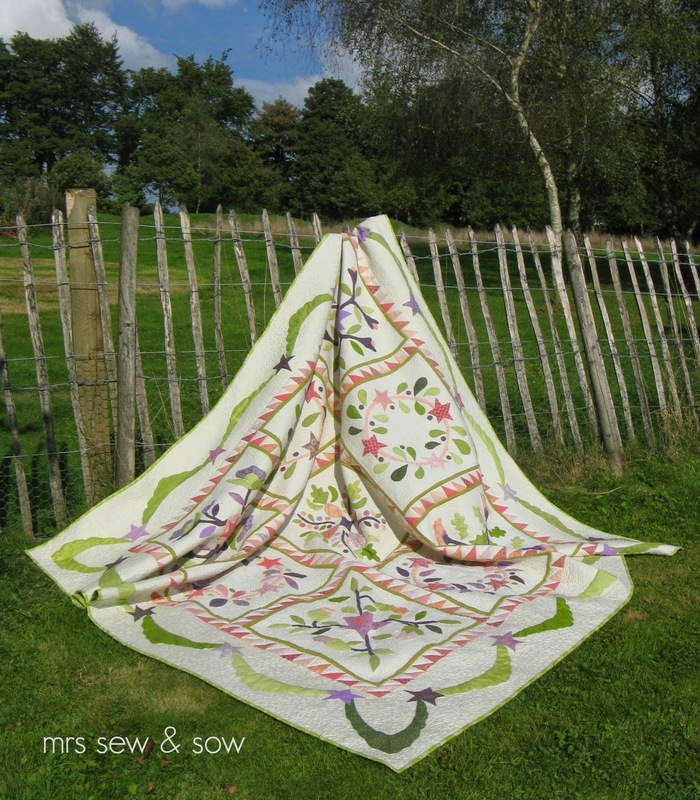 It is called a Double Z and if you are familiar with the Farmer's Wife you might recognise it. 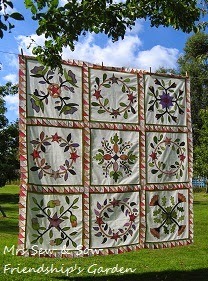 I chose this one to be a 15" block because it is in three sections and 15 divides easily by three! In the centre column there are three equal sections - a Quarter Square Triangle block (QST) and two units made from three triangles. The other two side panels form a third of the block although they are not divided by three in the same way. We don't need to draft the QST section - it is 5" square finished and we add 1.5" to get the measurement for the squares required - 6.5" squares - two squares required of course unless you want it more scrappy. 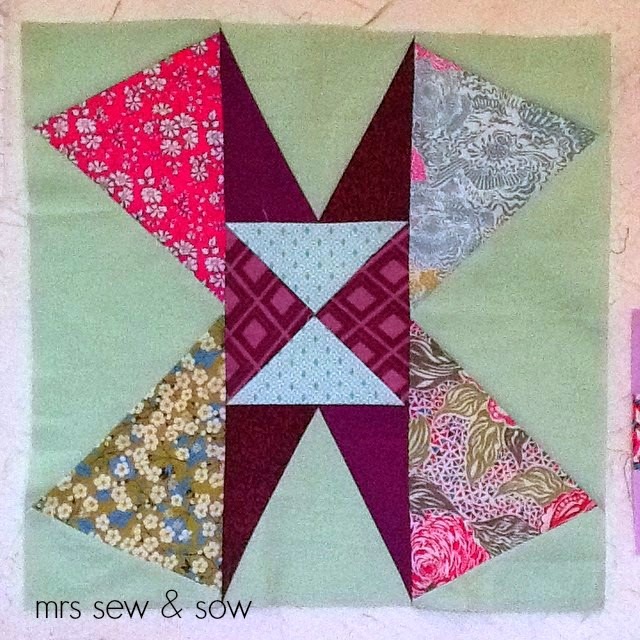 Here is a tutorial on making a QST block but do use 6.5" squares. Find the mid point and draw the middle triangle and the end triangles. 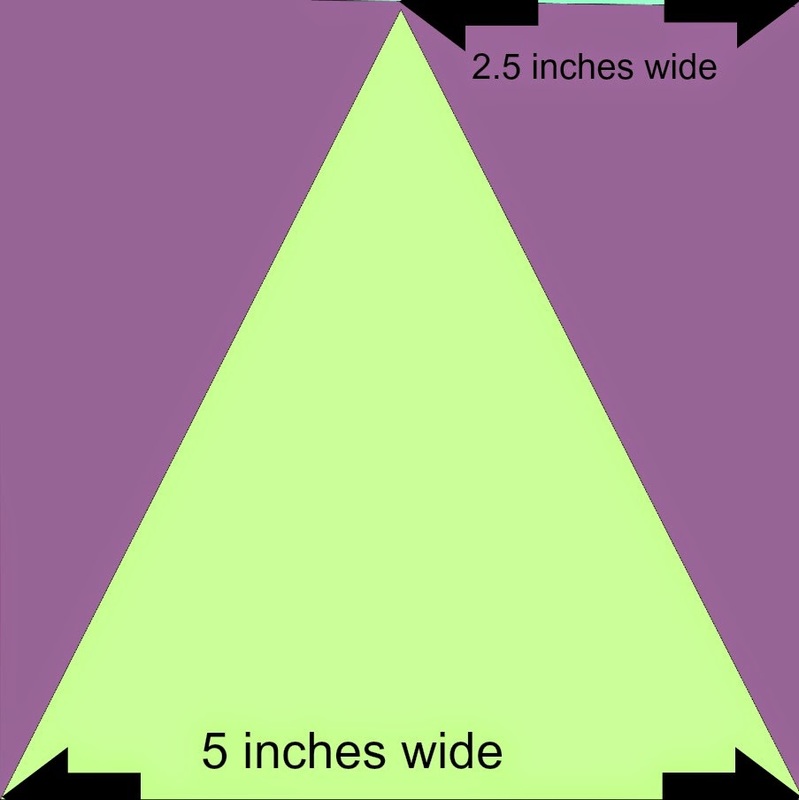 I redrew all the triangles on another piece of paper and added my quarter inch seam allowance to them to make my templates. You must add the seam allowance back in at this stage or your block will not end up as 15" finished. We have all we need for the central section. You need two of these sections added to either end of the QST to complete the centre strip. Check the diagram to ensure the correct placement. The end sections are 5" x 15" finished. I drew that on paper too - sticking two pieces of A4 together to get the length necessary. First I realised that our friend the end triangles appeared in this section too! They are doing the same job in this part of the block - holding up the ends! I measured and drew them in - the base is 2.5" long, the height 5" finished. Now I measured the mid point on the opposite side at 7.5". I can now join the midpoint up with the end triangles and complete my pattern. I again redrew the new triangles and added a quarter of an inch seam allowance. The other end section is the reverse of this one! You can cut all the pieces with your rotary cutter just make sure your ruler covers your template so it doesn't end up smaller every time you cut. Or mark your fabric and use scissors if you prefer. Please take care to reverse the template for the end sections as necessary when cutting out. You need a mirrored pair of end strips to complete your block. It is great to be able to draw blocks any size yourself and really isn't that difficult as you can see. Now I wonder what Leanne has been up to...shall we both go and have a look? 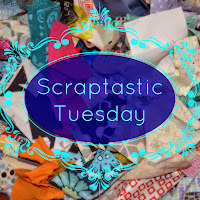 Scraptastic Tuesday - Link up Time 2! Yes today is linkup day! Please join Leanne and I for another sharing of your scrappy projects and we will be sharing these fabulous prizes. 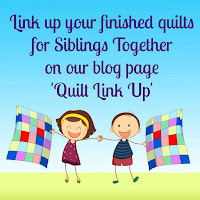 The linkup is open for ONE WEEK ONLY this time around! It closes at midnight Canadian time on Monday Nov. 17 and Leanne will do the draws first thing on Tuesday so we can post the winners as part of the Tuesday scraptastic post. So what scrappy thing have I been doing? 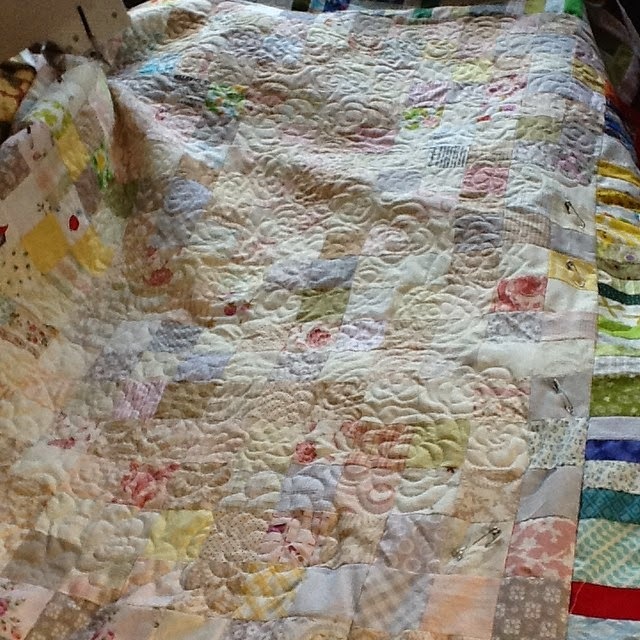 I have forged ahead with my first scrappy project which actually predates Scraptastic Tuesday and am happy to have a finished quilt to share with you today! 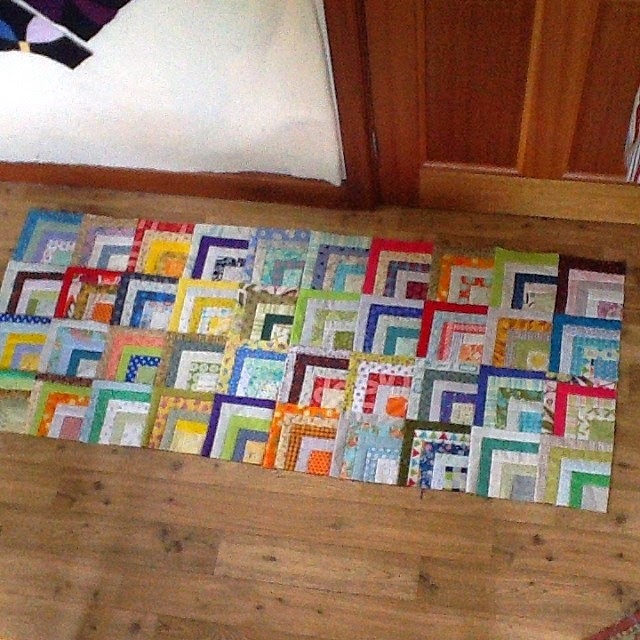 But I realised I didn't want to make a quilt full of these blocks! 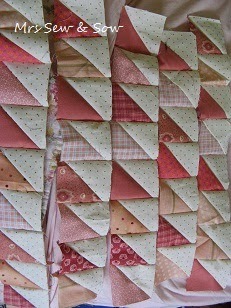 So I unpieced the rows and paired them up with some left over tumbler blocks I stitched into Dresdens. Did I make a difference to my scrap mountain? It doesn't seem like it at the moment ....guess I'll just have to keep on stitching on! 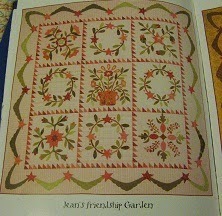 I need to write a proper tutorial for my next sampler block - it is another 15" one and not at all tricky that size! 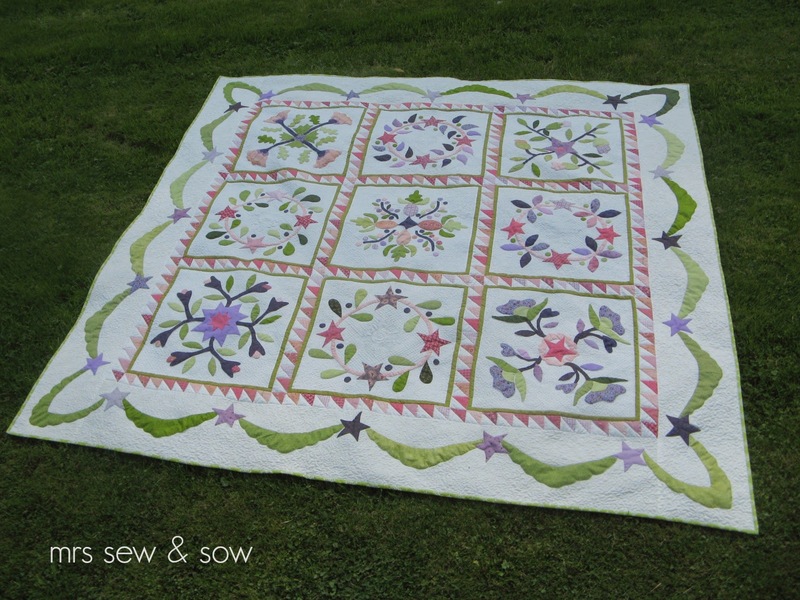 If you have made a Farmer's Wife quilt you might even recognise the block but I'm not quite there yet with writing that tutorial! Don't forget to see what Leanne has been up to - apart from playing with her little ginger kittens! So cute! Scraptastic Tuesday - almost a column! I have put my blocks upon my design wall and there are quite a few gaps to fill in! Now what happens in these circumstances? I get the urge to fill those gaps in of course! So here is a filled in section in my #Scraptastic Sampler, though I still need to decide how I'll be joining up the blocks, but it might have to be a bit of scrappy sashing.....? A 6" Log Cabin, a 4" Turnstile and a 9" Windmill block (same as the turnstile but less background fabric). In case you are wondering about the block names I'm using, they are what I found on EQ6 - I know they all have lots of different ones! The Log Cabin is made with 1.5" centre square and strips. The Turnstile block is made from four 2.5" HST/QST hybrids. 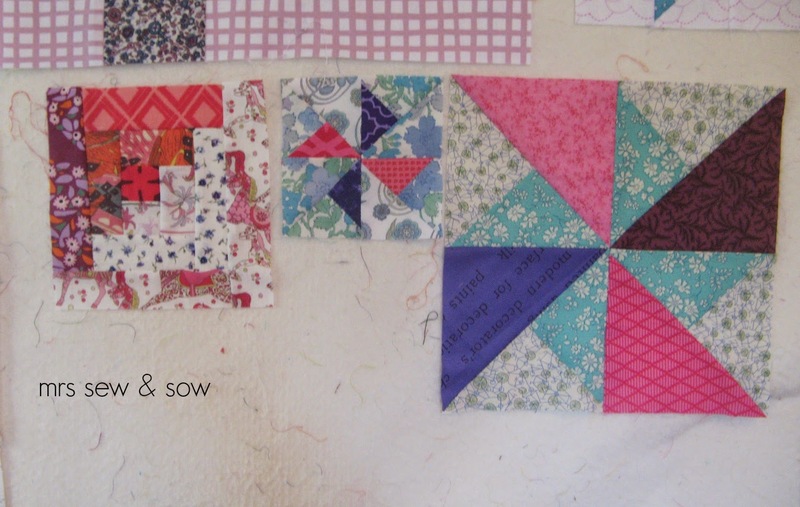 The bigger HST triangles are made from 3" squares cut diagonally in half - you will need two 3" squares for the block. 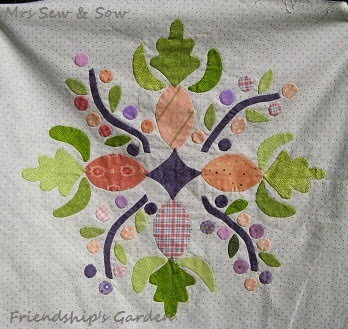 The Quarter Square Triangle bit is made from one 3.25 " background fabric square cut diagonally in two directions and the same in contrast fabric or you could cut use the background fabric triangle as a template and cut from scraps as I did, to get variety. The Windmill block is made from four 5" HST/QST hybrids. The bigger HST triangles are made from 5.5" squares. For the QST bit you will need two contrasting 6.25" squares. Trimming is involved for both these blocks. I trimmed the two QST triangles after piecing to match my HST triangle. After piecing each square from one HST and two QST triangles I then carefully trimmed them to size making sure I was centering my ruler using the QST seam lines before removing a tiny sliver or two. Not many left to complete this column - I might just have to get to the bottom of it...and my next block is another 15" one which needs a bit of drafting to complete and you might recognise it if you have made a Farmer's Wife quilt. 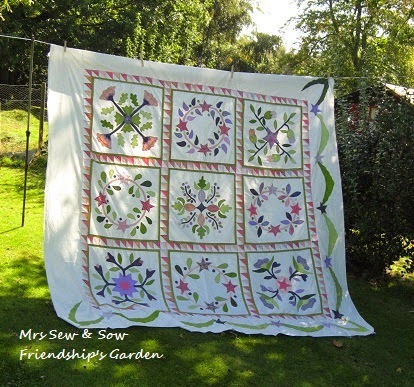 Easier to do at 15" instead of 6" though and hopefully quite an eyecatching one and very easy to draft especially if you have been reading the series Jess and Leanne did on Decipher Your Quilt ! Go and see what Leanne has been doing! More scrapiness I know! 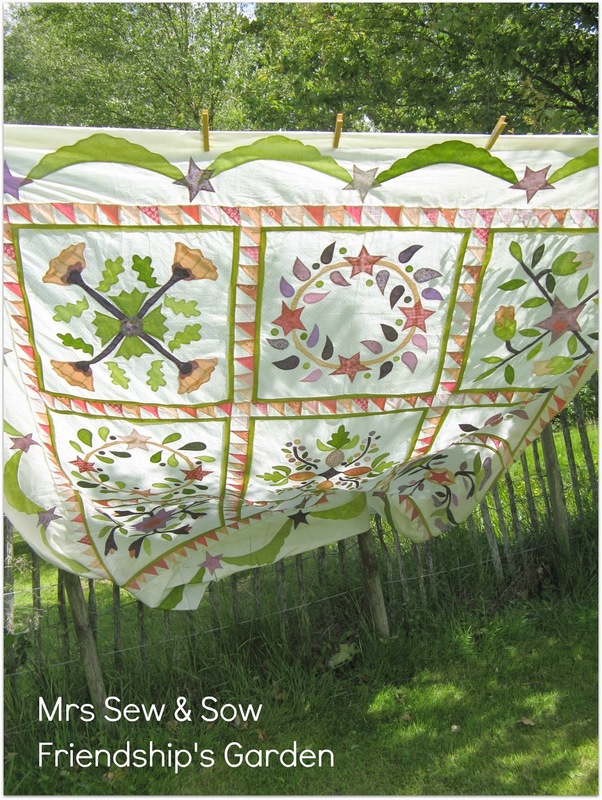 Hello and welcome, my name is Nicky and I am entering my applique quilt into the fabulous Blogger's Quilt Festival this year. 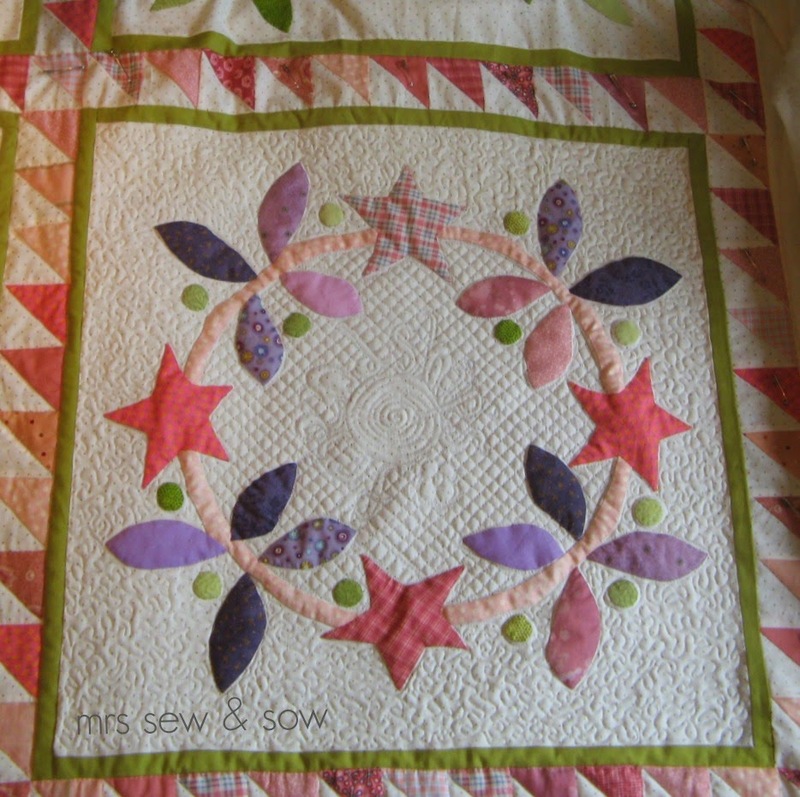 I started this quilt when I attended an applique workshop in February 2005! 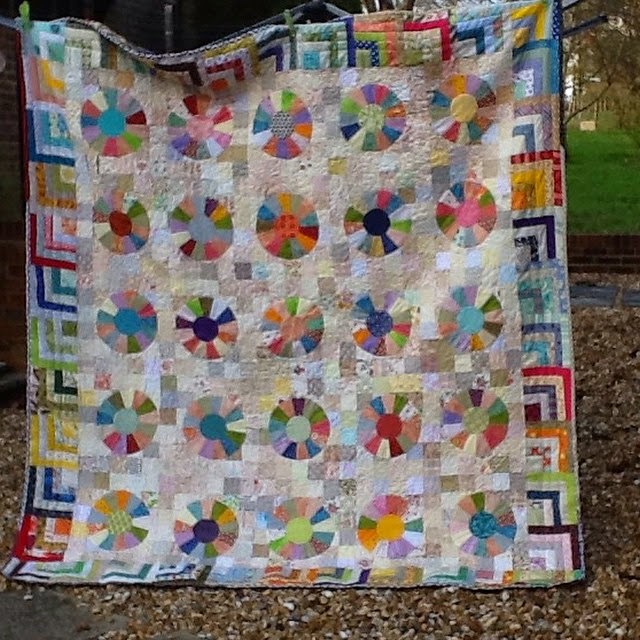 And I finished it this September - it was my oldest UFO and I am thrilled that it is finished and I can enjoy it instead of hiding it at the back of a cupboard. 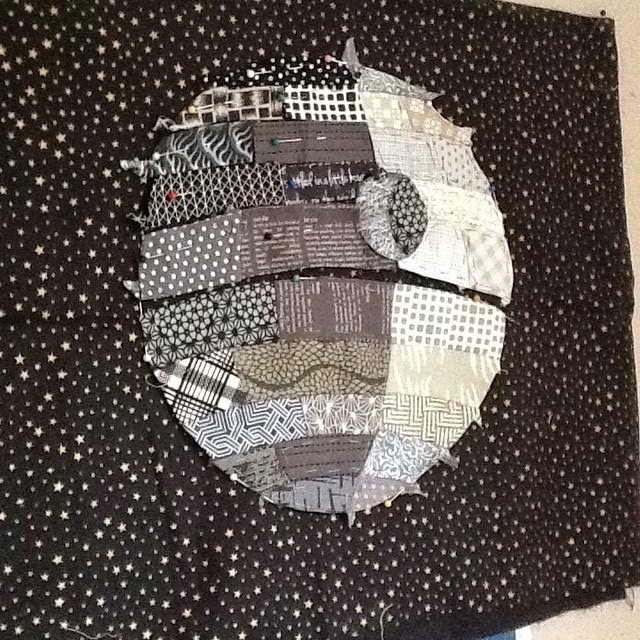 This quilt has held quite a few challenges for me but with time and practice I have overcome my fears, reluctance, my hesitations and now I have a quilt I can enjoy. 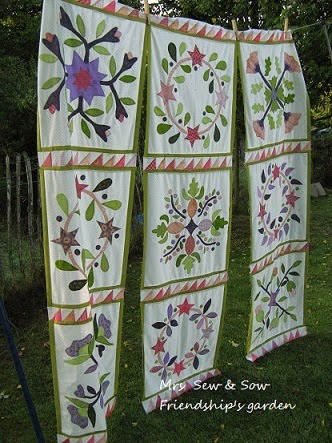 I am linking it up to the Blogger's Quilt Festival Applique Quilts section. 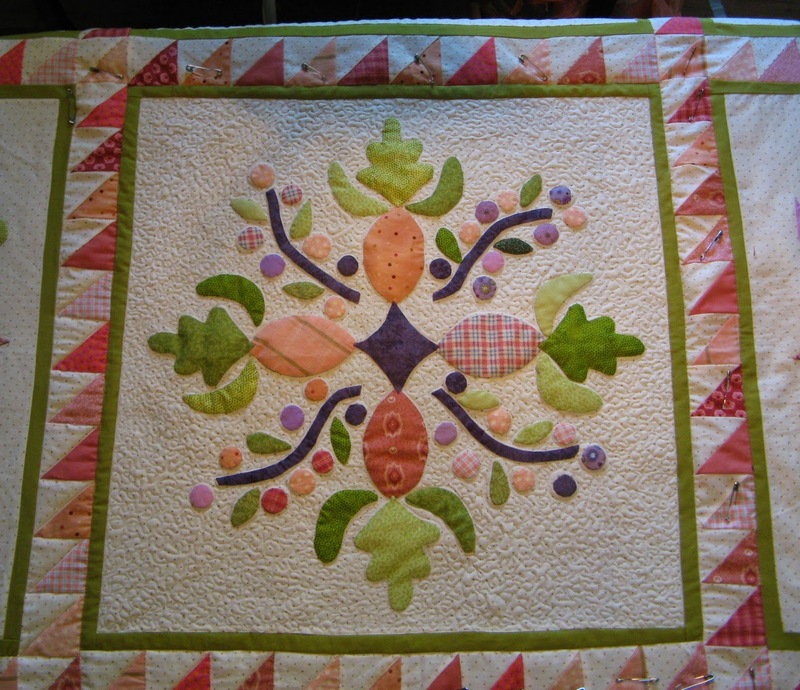 Hope you have fun looking at all the lovely quilts !